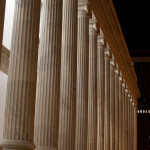 Why A Colorado Juvenile Crimes Defense Lawyer? Denver Colorado Juvenile Crimes Criminal Defense Lawyer – Is your child facing juvenile crime charges in the Denver, Colorado or the Front Area? H. Michael Steinberg provides both aggressive and committed legal representation that your child needs to protect his or her future. 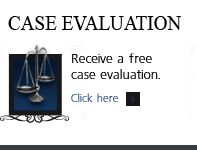 Contact our Denver, Colorado Juvenile Crimes Law Firm today. Our practice was built on repeat clients and referrals from not only our clients but also opposing counsel who were impressed by our representation. 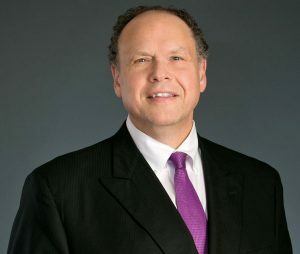 While we give you many reasons to retain our law firm, the top five are our knowledge and experience, our commitment and dedication, and the high level of personal service from H. Michael Steinberg himself… not a young and inexperienced associate lawyer … as is the practice of many of our competitors. For more than 30 years, H. Michael Steinberg has practiced Colorado criminal law in the adult and juvenile criminal courts of Colorado. Every day he helps his clients resolve their legal issues. As a career former prosecutor in Arapahoe, Douglas, Elbert and Lincoln counties, (the 18th Judicial District) H. Michael works hard to master the frequent changes in Colorado’s criminal laws and legal processes so that you can rely his advice and the information he provides to help you make the best decisions possible in your case and to obtain the very best in results. H. Michael has a well deserved reputation for excellence in the criminal courts of Colorado. He has earned a reputation for providing clients with experienced representation and excellence in and out of the courtroom. H. Michael listens to your goals and has a practice built upon communication and trust. H. Michael Steinberg does not hire associates. When you retain his firm – H. Michael is the one who will go with you to every court hearing.. No one else. He is fully engaged and involved in your case at each and every stage. He studies all of the details and he is the one who will answer each of your emails and phone calls throughout the day and night. H. Michael is also the one will take the time to listen to your concerns. He is the one who will research the facts about your case and then answer your questions that ALWAYS arise out of the evidence – or LACK of evidence against you in your case. Whether your questions are about the law or about the legal process taking place all around you, you will receive accurate information and sound advice when you retain his services. He understands that your child’s future is of the utmost priority to you, and he will personally do everything in his power to make sure that your child receives the best legal attention on his or her case. A Colorado juvenile crime lawyer is in the best position to explain the Colorado version of the juvenile justice system. 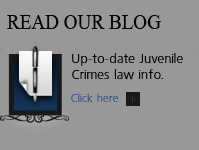 Juvenile court differs greatly from the adult criminal justice system. The intent of the adult criminal justice system is to protect the safety of the people in society. Like all other juvenile justice systems, Colorado’s juvenile justice system is focused on rehabilitation of the children prosecuted for the same adult crimes. The goal in the Colorado juvenile justice system is to help our children to learn to act responsibly once they reach adulthood, while the adult criminal justice system is primarily focused on the punishment of offenders for criminal acts and only secondarily with rehabilitation. The Colorado juvenile criminal defense law firm you choose – to be effective and successful – must offer the most aggressive and skilled representation to children accused of juvenile criminal offenses in such major and well funded Colorado’s counties as Adams, Arapahoe, Broomfield, Boulder, Denver, Douglas, Jefferson, Weld, Larimer and several others along the Front Range. Juvenile criminal allegations can seriously effect your child’s reputation and ability to maintain or secure future education and of course employment. An allegation – a charge of a Colorado juvenile crime – can also have a devastating effect child’s overall well being… and quite frankly it can be very frightening. The possibility of arrest – of jail – of a juvenile record – of a trial – of testifying and accusations made by the prosecutor in open court – all have impacts on young minds. These cases must be handled with extreme care and caution by an experienced Juvenile defense lawyer familiar with how they are different from adult criminal cases. As a former prosecutor, H. Michael Steinberg has handled hundreds of juvenile criminal cases all across Colorado. He understands diversion programs, how to obtain dismissals if that is possible, juvenile trial laws, strategies and and tactics, petitioning for expungement and sealing of juvenile records all involve and all other aspects of Colorado juvenile law. Has your child been accused of a crime in COLORADO? The good – Colorado’s juvenile law system is intended to help prevent young people from becoming entangled in the court system. Towards that end, our office works with juvenile probation officers, judges, and law enforcement in helping to develop alternatives to juvenile jail (detention), or DYC – the Division of Youth Corrections (juvenile prison). If drugs and alcohol are involved, and they often are, court’s can assist with the rehabilitative function by helping teens find counseling programs that will help address the use and abuse of alcohol and drugs. If mental health issues are also present or medical issues present – identifying appropriate experts that can diagnose and treat said conditions is a function of representation. Helping young people receive their second if not third chance is also part of the mix. Our children make mistakes – sometimes over and over. That is part of growing up . 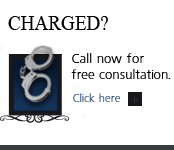 If your teenage son or daughter has been arrested for committing a crime, please contact The Steinberg Colorado juvenile criminal defense law firm for a free phone consultation anytime of the day or night. 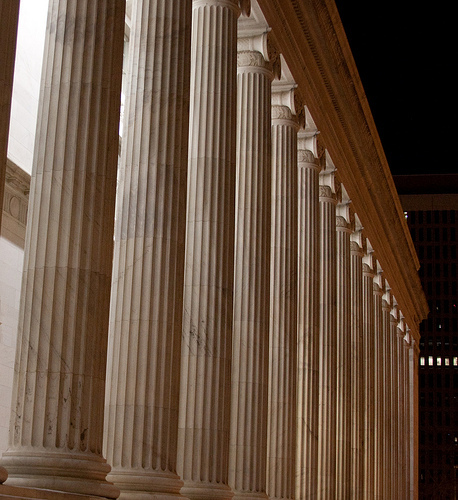 A Denver Colorado Juvenile Crimes Criminal Defense Lawyer for your child’s case.